TP-LINK's N600 Wireless Dual Band Gigabit ADSL2+ Modem Router TD-W8980 is an incredibly robust all-in-one device which contains features of an ADSL2+ Modem, a N600 Dual Band Router, a 4-Port Gigabit Switch, and a USB Print Server. It saves your budget and space in contrast to buying several devices separately. The downstream bandwidth of the modem can reach up to 24 Mbps, meeting the needs for most home and office service plans. Two separate wireless networks are broadcasted on 2.4 GHz and 5 GHz simultaneously with up to 300 Mbps over each band. The traditional 2.4 GHz band provides larger range and is great for basic Internet uses, while the 5 GHz band gives faster wireless speed and handles bandwidth-heavy tasks like online gaming and HD streaming. Now you can enjoy both advantages of the two bands by just having one device. The 4-port built-in switch of the TD-W8980 transfers data at up to 1000 Mbps, which is ideal for your wired network. 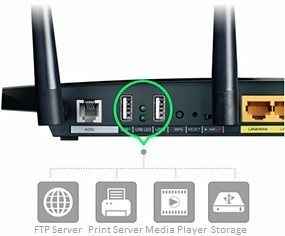 You can use the Ethernet ports for printer, NAS, TV, and other network devices so that users can all share those devices through the wireless or wired connection. Share a Printer. It is common that multiple users share the same printer in the network. With the TL-WR1043ND, you can simply connect your printer to the USB port on the back of the router and print wirelessly. Share Files & Media. Attach a storage device such as a flash drive or hard drive to the router, and users in the local network can all get access to the files saved in the drive. The router also has a built-in FTP server so that users can visit the storage device remotely. The TD-W8980 provides two work modes to choose from: ADSL Modem Router Mode and Wireless Router Mode. 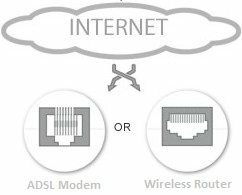 If you are using ADSL service to get Internet, select the first mode. If you are using a cable, fiber, or other types of Internet service, select the second mode and configure it as a pure wireless router. Such flexibility saves your investment and is useful when you decide to change your service provider. The TD-W8980 comes with a Quick Setup Wizard in its Web management page that leads you through a step-by-step process to set up your modem router. You don't need to install any software or use a CD to finish the setup. Within minutes, your modem router will be up and running. AT&T (SBC/BellSouth), Verizon, Earthlink, Qwest, Sprint, WindStream, CenturyLink(Century Tel/Embarq), 4DV.net, Coqui.net, Covad, Eastex, Grande Communications, GWI, Internet Junction, Sonic, SureWest Communications, Toast.net, Uniserve, etc. Which ADSL Modem Router is Right for Me? RAVPower RP-WD03 FileHub is NEW upgraded Filehub Plus, 6000 mAh power bank, portable travel router, SD card USB reader and a media streamer. 1) Supporting to reading USB hard drives up to 4TB and SD/SDHC/SDXC cards up to 256GB. 2) Perfect for when you need to free up space for Android or iOS devices. 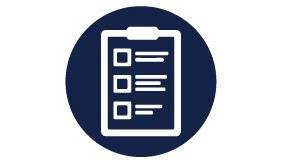 3) Up to 5 mobile devices can connect simultaneously allowing you to stream media from the SD or USB drives, or you can directly share files between two different storage devices. 4) As a portable router, you can turn any wired network and make it wireless, or connect it via a DSL or cable modem and it will act as a regular router. 5) Act as WiFi extender, If you connect it to an existing Wi-Fi network, you can share hotspot access with all your friends and families - perfect for hotels or places you each need to pay for internet access. Please note: 1) Due to the limitation of the Apple iOS system, you can ONLY access the Photos folder on your iPad/iPhone;Filehub is currently unable to sync with media files stored in iTunes to USB storage devices due to digital rights management (DRM). 2) Does not work with Mac formatted hard drive. Top Level Categories for TP-Link TD-W8980 N600 Wireless Dual Band Gigabit ADSL2+ (Non-Cable) Modem Router, 2.4GHz 300Mbps+5Ghz 300Mbps, 2 USB Ports for File Sharing, IPv6 Compatible.